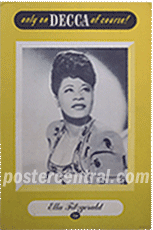 Promo posters & displays are an exciting part of the hobby that can tap into a collector’s strong emotional ties to their favorite records of the past. If you’re in love with Miles Davis’ Kind of Blue, The Beatles’ Sgt. Pepper album or just R&B legend Wynonie Harris in general, what’s cooler than having an original advertising poster for the product? They were produced in tiny quantities, never sold to the public, almost nobody saved them so they’re rare as hen’s teeth (from the 1960s on back), and they make great conversation pieces framed on your wall. As explained in our Goldmine magazine poster story found elsewhere on this site, the majority of promo posters & displays were made to promote a specific new record release, usually an album but sometimes a single. Once a record was ready to go, the label’s marketing department would design point-of-purchase (POP) materials for retail outlets - which the hobby has always called promo posters and displays. Now, decades later, I’ll pay top dollar for vintage record-company promo posters and displays of this nature. 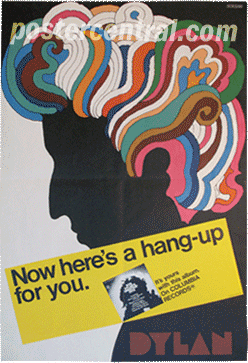 Details on the promo posters & displays found here: Bob Dylan’s Greatest Hits: Now Here’s a Hang-up For You. It’s Yours with This Album. On Columbia Records (large 1967 paper poster with artwork by Milton Glaser); On Sale Here: The Beatles’ "From Me To You" on Parlophone Records, and also Now On LP! 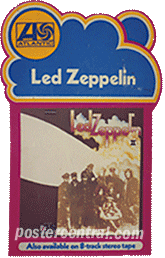 with Please Please Me (small 1963 U.K. paper banner); Led Zeppelin’s Led Zeppelin II album on Atlantic Records. 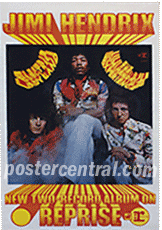 Also Available on 8-track Stereo Tape (1969 cardboard easel-back display); The Jimi Hendrix Experience’s Electric Ladyland, a New Two-Record Album on Reprise Records (1968 paper poster); Cream’s Fresh Cream album – It’s Happening on ATCO Records (1967 cardboard easel-back display); Ella Fitzgerald, Only on Decca of Course! 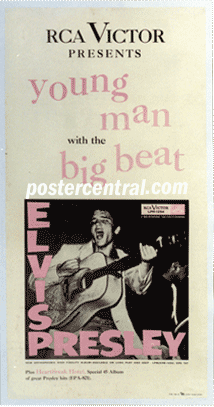 (1940s cardboard easel-back display); RCA Victor Presents Young Man with the Big Beat: Elvis Presley (1956 paper poster for his first LP).